I have a new addiction. No, it’s not cocktails… that love affair is rock solid and never going away. 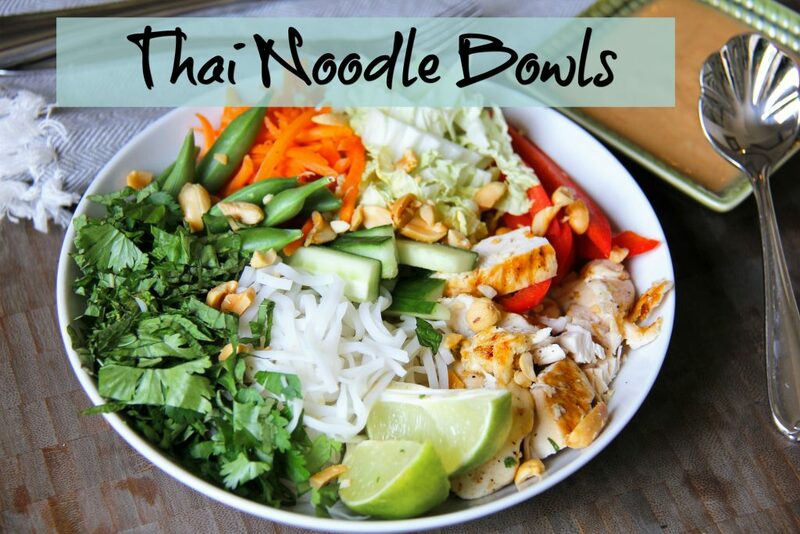 It’s Thai Noodle Bowls. Full of juicy grilled chicken or shrimp, crisp veggies that I gather from the fridge, a handful of herbs from a pot in my front yard. Even the noodles are convenient! Rice noodles go limp in minutes in a bowl of piping hot water. So easy! Add to that a bit of this crack-like peanut dressing/dip that has more uses than I can think of and your lunch or dinner is not only healthy but quicker than anything you could grab in a drive thru! Set up a bar and let the family customize their own! That’s called smart when a dinner is merely assembled by the eater. Take the night off Mama! Quick and easy. Pull ingredients from what you have in the frig and set up a bar for the family to customize their own bowl. Cook noodles according to package directions; drain. Divide noodles evenly among serving bowls. Top each serving with vegetables. Sprinkle evenly with herbs, peanuts or cashews. 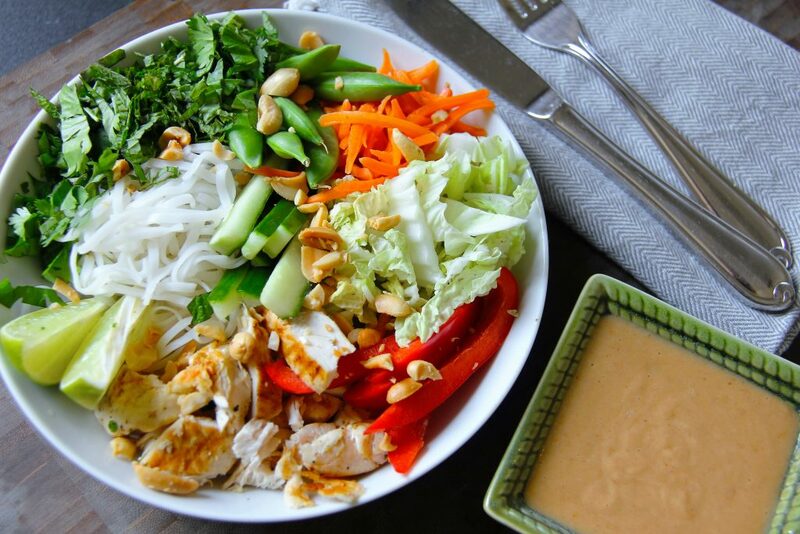 Drizzle peanut dipping sauce on top. Place ingredients into a blender and process until smooth. Our Garlic Lime Chicken would be a great addition to this dish.